Spain has been one of the countries of the European Union that has most shamefully stood out for its government’s attitude against freedom of expression and information. 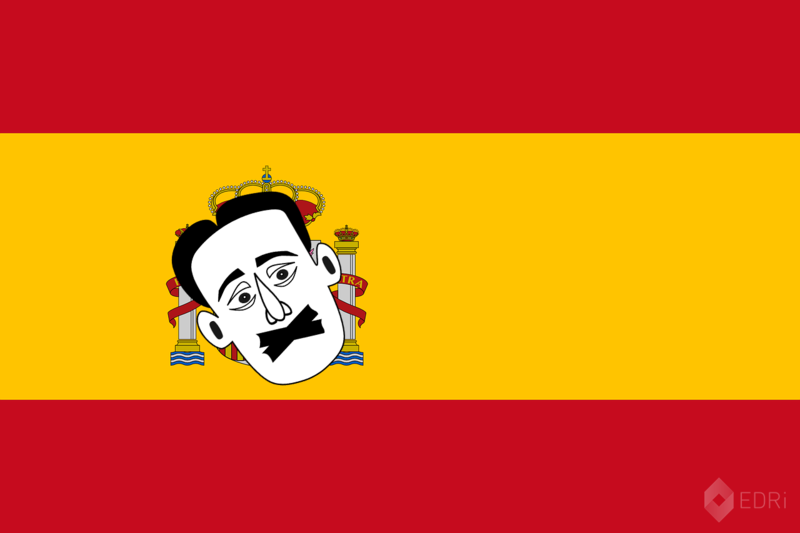 During the government of former President Mariano Rajoy, the Spanish parliament passed the controversial “gag law”- as it was popularly known – which entered into force on 1 July 2015. This law amended the Spanish penal code by, among other things, reinforcing the penalties of “glorification of terrorism” and “humiliation of the victims of terrorism” and introducing limitations on protests and imposing administrative sanctions against demonstrators. One of the most obvious consequences that this law has had for freedom of expression and information online have been the criminal cases against many political activists, artists, and politicians because of their tweets. In its last report “Tweet…if you dare: How counter-terrorism laws restrict Freedom of Expression in Spain”, Amnesty International denounces the lack of legitimate purpose of the law, considering it too broad and too vague and with an evident purpose of targeting those expressing dissident opinions against the Spanish political system. The text is written with such an ambiguous wording that it condemns not only the dissemination of criminal content but also simple access to it. This implies that accessing these websites is, itself, a crime, regardless of whether the person simply wanted to be informed or whether they are actually involved in a terrorist activity. Without any definition of what the law considers to be “seriously disturbing the public order”. This ambiguity has lead to arbitrary fines to journalists when they were covering a public event. The gag law punishes “unauthorised protest” which could be fined between 30,000 and 600,000 euro if the protest takes part near institutions such as the Spanish parliament, which happened with the protest organised by the “7N against gender violence”. The doubt is of course what does “danger” mean. How exactly will the law measure “danger”? Again, it is not defined. The result is freedom of expression is curtailed, with fines ranging from 600 to 30,000 euro, and with such extreme consequences as fining a women for posting a picture of a police car parked illegally in a parking spot reserved for people with disabilities. Platforms such as the sport streaming website “Rojadirecta”. Despite the legitimate intent to limit copyright infringements, the consequences of this measure will be creating legal uncertainty for hundreds of small businesses that have nothing to do with infringements. The “gag rule” punishes with criminal penalties the dissemination of messages on the internet which may be considered as “glorification or justification” of terrorism or “the dissemination of slogans” which may incite others to commit offences. This has undoubtedly been the most controversial part of the law and the most arbitrarily applied. Under the pretext of committing “glorification of terrorism”, an extremely abusive interpretation of this offence has been used. As a consequence, rappers, professional puppeteers and visual artists have been charged or prosecuted by the Spanish justice because of the politically content of their lyrics, plays or even the meaning of their artistic pieces. The other battlefield has been Twitter where, since 2014, four coordinated police operations – called the “Spider Operations” – led to a big number of people arrested for posting messages and jokes on social media platforms referring, among other topics, to ETA’s terrorist attacks addressed to members of the Franco dictatorship. One of the most famous cases was the conviction of the rapper “Strawberry” for tweeting about ETA’s terrorist attacks. Although most of the people accused were released without charges or were not imprisoned , there are particularly worrying cases such as the recent convictions of rappers Pablo Hassel and Valtonyc, the latter currently on the run. After almost 3 years since this law was approved, one of the first tasks of the new Spanish government is to take down the “gag law”. The idea of fixing the law by making amendments within the law, as the Socialist party has pointed out, is not enough. As associations such as the Platform for the Defence of Freedom of Information (Plataforma en Defensa de la Libertad de Información), Amnesty International, Rights International Spain and Spanish EDRi member X-Net have expressed, the only solution is to call for the repeal of the law.